Based on the legendary Fender Bassman amplifier, this amp simulation plug-in includes 6 Control knobs, Speaker Emulation with Bypass, Stereo Mode Switch and Boost Switch. 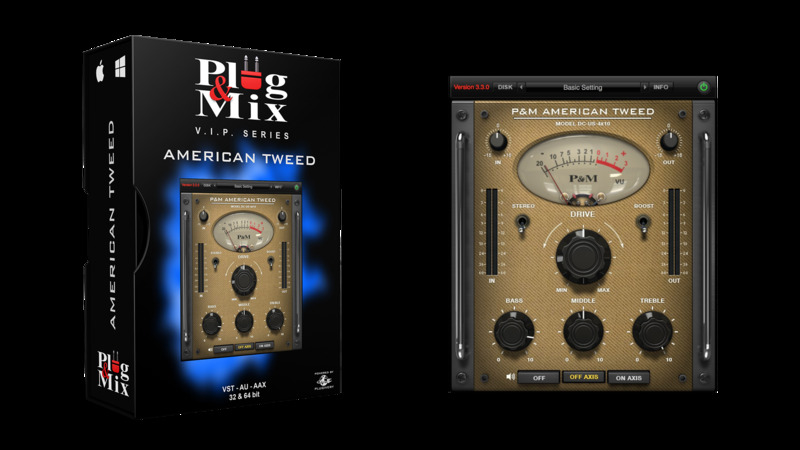 The P&M American Tweed plug-in offers an incredibly realistic Fender Bassman amp sound emulation. From sparkling clean to a full crush tone, warm overdrives and even hard solo leads. Use the six effective controls to create your own Tweed amp-like sounds. - Selector BTN : Off /On Axis mic for speaker emulation.